Living… for Christ. Sister Peter Marie gave up worldly pleasures after the death of her husband to do the Lord’s work. 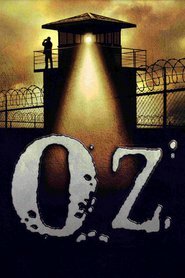 She spends most of her time in Oz, counseling the prisoners on their addictions and psychological problems. Interests… helping to rehabilitate the inmates. Even though a prisoner killed her husband, Sister Peter Marie still has faith in the U.S. penal system. She believes that the inmates are not here to be punished, but helped. She wants to make sure that prisoners are fit to re-enter society. Relationship Status… widowed. Now, Sister Peter Marie is “married” to Christ. Personality… tough. Sister Peter Marie knows that one has to keep a hard outer shell on display for the prisoners. As one of the few female staff members, she tends to receive more abuse than most others. The inmates don’t tend to respect any uniforms, not even a nun’s habit. Marie Reimondo's popularity ranking on CharacTour is #4094 out of 5,000+ characters. See our top-ranked characters and read their profiles.